If you are looking for exercises to improve your posture then some of the following exercises for posture may help. Some patients come in to me specifically asking for exercises for posture or simply wanting to know how to improve posture. Good posture makes you look younger, takes years off your appearance, and evokes an image of confidence and health. 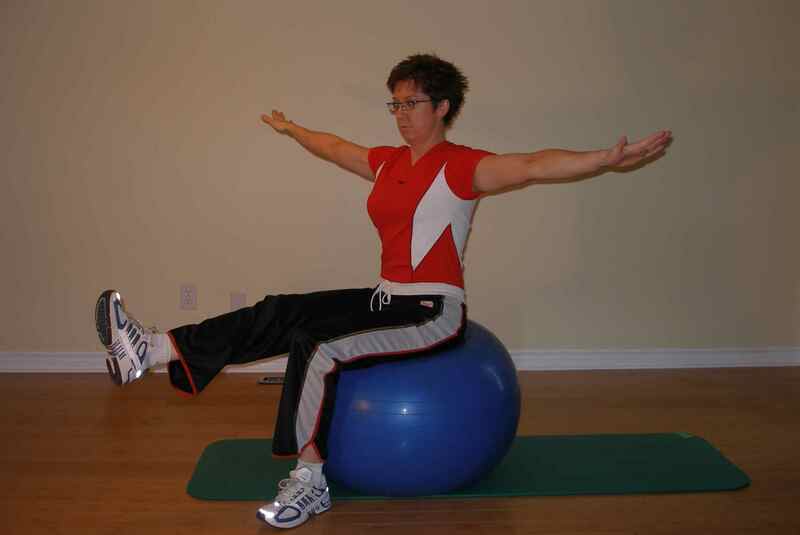 By using the exercise ball for exercises for posture, you strengthen the muscles that support good posture. As they strengthen, sitting or standing up straight will feel like less of an effort. I find when I discuss posture with patients that some of them get defensive. It takes them back to a time when their parents scolded them: "sit up straight". But, after I explain to them why it is so important, they quickly understand that it is often simply their posture that may be the source of their pain. Exercises for posture can help. The deep postural muscles contain a large proportion of slow twitch muscle fibres. These fibres are capable of contracting for long periods without tiring. Poor posture demands the support of the fast twitch muscle fibres which tire quickly creating muscle fatigue and pain. Over time, excessive use of the fast twitch fibres leads to wasting of the slow twitch fibres causing a reduction in joint stability and poor mechanics. When standing up straight, ligaments are not under tension, fast twitch muscle fibres do not work excessively to hold you up and joints are in a relaxed position. On the contrary if your center of gravity is forward or back of where it should be, muscles need to work excessively to prevent you from falling over. This leads to muscle fatigue and pain. If ligaments are kept in a stretched position for prolonged periods, they will lengthen, causing pain and joint instability over the long term. The following exercises for posture will strengthen the muscles that hold your joints in a neutral position thereby relieving strain on ligaments. When viewed from the front or the back the vertical line passing through the body's centre of gravity should theoretically bisect the body into two halves with body weight equally distributed between the two feet and knee caps should be facing forward. The best way to determine if you have good posture is to have a postural evaluation from a physical therapist. 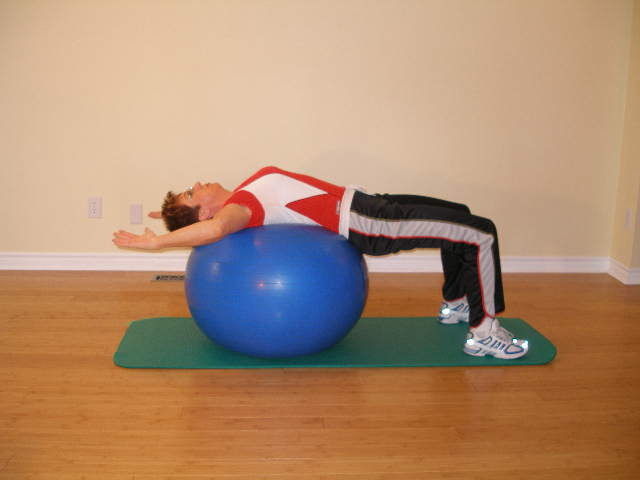 They will identify muscular imbalances that could lead to poor posture. Physical therapists have special skills to evaluate and treat postural problems. Below you will find a good list of exercises for posture. 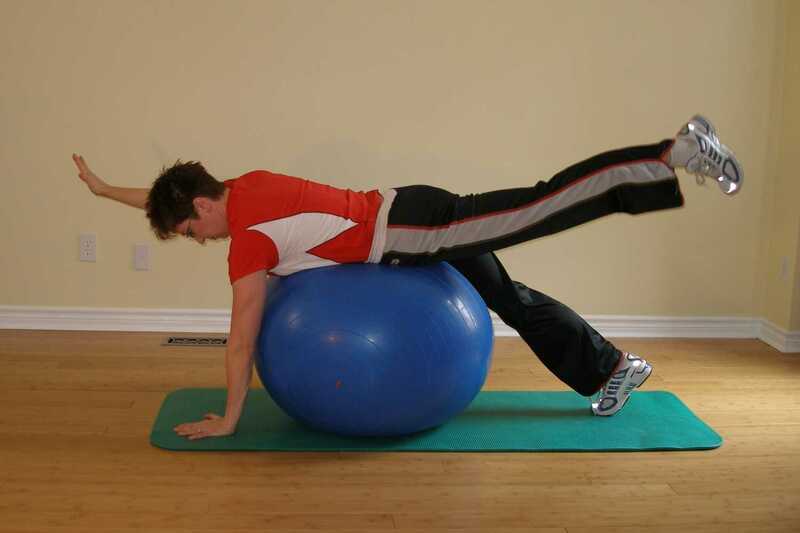 Review the instructions on how to maintain a neutral position before beginning these stability exercises to improve posture. Tips for maintaining good posture. Click on each picture for a full description and progression. I'll often use tape in the clinic, either stiff leukotape, or an elastic kinesio tape in assisting people in regaining a correct posture. The idea is to use the tape to facilitate muscle activity where it is low and provide proprioceptive feedback so that learning can take place. Appropriate clothing and assistive devices can facilitate activity in the muscles that hold your shoulders back, and keep your chest up. Braces and the appropriate clothing can also assist you in maintaining good posture. The idea is to use the clothing to assist you in learning what correct posture is and reeducating yourself in terms of how your body should sit in space, rather than relying on the garment to hold you upright. Relying on a rigid brace to hold you up can only result in further weaknesses developing, compounding your posture related problems. So, if choosing a clothing to assist you in your quest for better posture, be sure to also partake in an appropriate stretching and strengthening program. If you have serious postural issues or pain, consult your physical therapist for advice prior to purchasing anything. With this deformity the hips are forward and to maintain balance the thoracic spine rounds. The person with this posture may also have tight hip extensors and rotators and tight hamstrings. 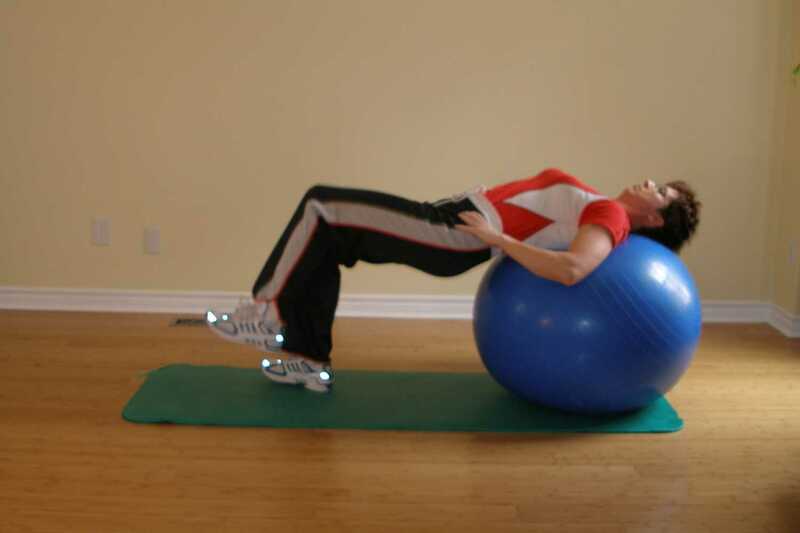 This person may have weak hip flexors, weak lower abdominal muscles, and weak scapular stabilizers. Athletes with this posture lack power and the ability to make explosive movements. Review exercises for posture to help correct this. Someone with this posture has excessive stress on their lower back due to increased curvature in the lower back and anterior tilt to the pelvis. This can be caused by weak lower abdominal musculature. 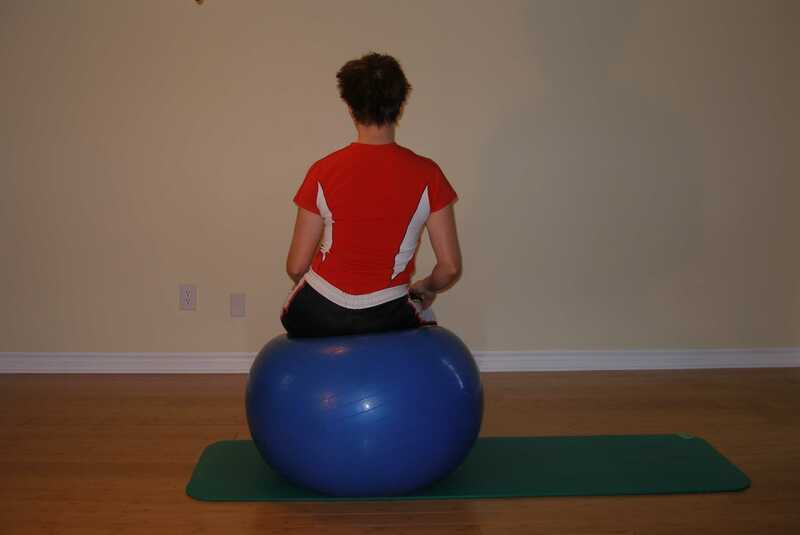 Shoulders typically sag forward,, thighs will rotate inward, and the head will protrude forward to maintain balance. 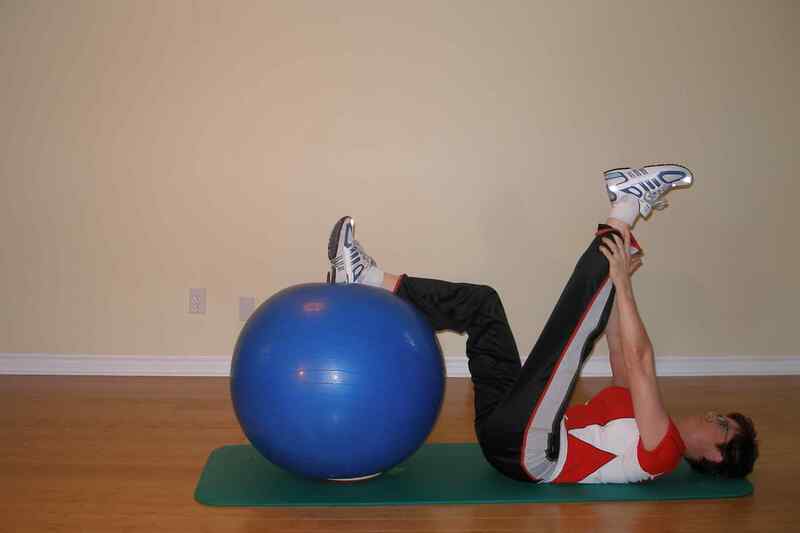 Someone with this type of posture will typically have weak lower abdominals and tight hip flexors. Shortened hip flexors will result in shortened stride in a runner and therefore cause you to run slower. Exercises for posture will help correct these muscle imbalances. This posture is characterized by a decrease in the lumbar lordosis. 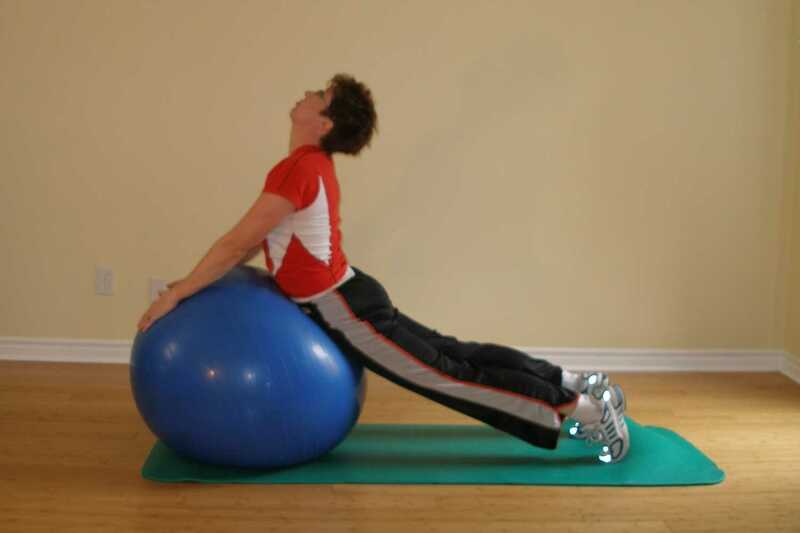 Someone with this posture usually has tight hip muscles and weak lower back and hip flexors. These altered postures can result in poor movement patterns leading to pain and injury. 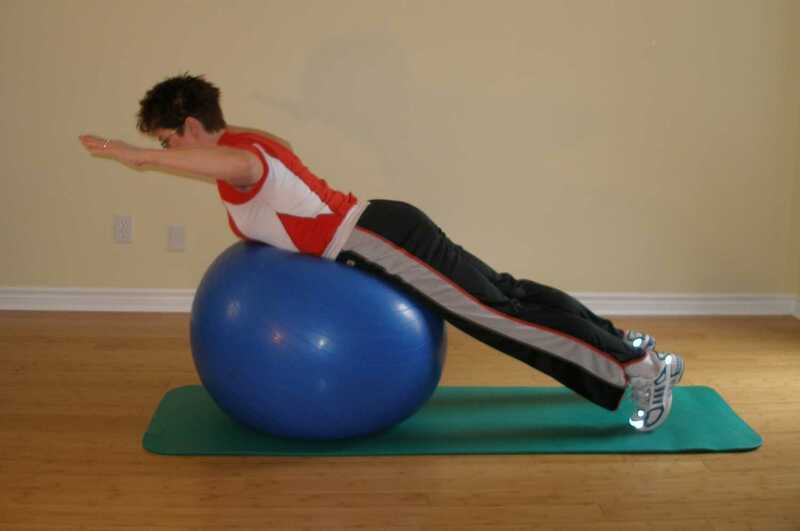 Exercises for posture will help provide a stable core from which to perform dynamic movement. Using the technique of "postural muscle equilibrium" it is possible to significantly improve a wide range of posture problems such as kyphosis, lordosis, swayback, scoliosis, rounded shoulder, hunched back, duck feet and many more problems. Personal trainer Mark Sias will personally guide you, step-by-step, through 20+ minutes of easy to follow exercises or posture, designed to improve your posture depending on your own unique problem. Simply choose your exercises for posture from the Perfect Posture Program™ video library and watch it right from the comfort of your computer. 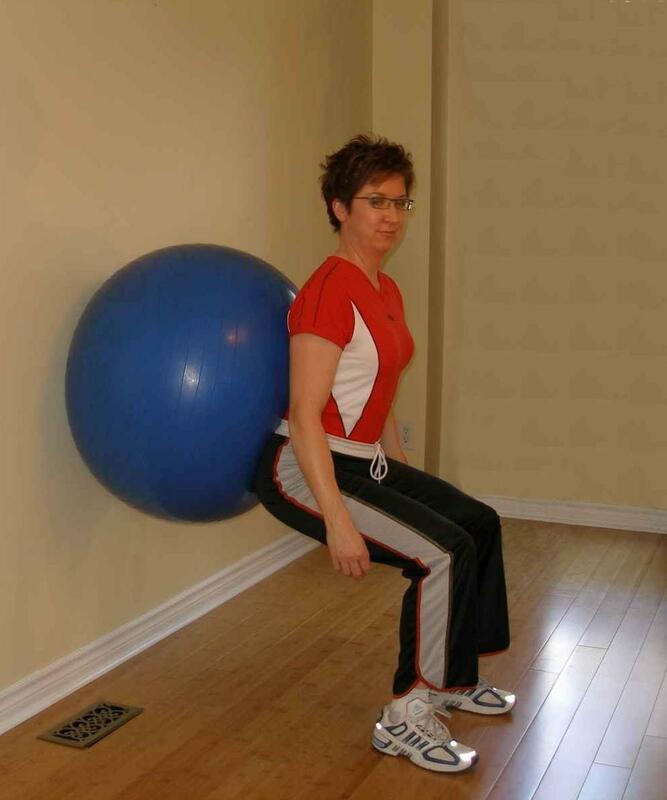 Click here for more information about these exercises for posture. Posture by definition is the position of your body assumed for a specific purpose. If you have bad posture you will not be as effective as an athlete. You need to get in and out of certain positions in your sport, and you will need effective posture for jumping, sprinting, cutting, etc. 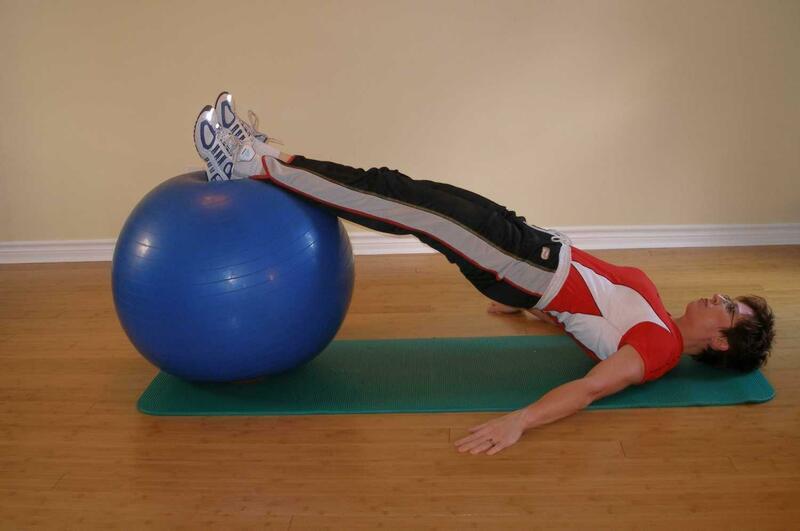 Without the use of efficient postures you may be increasing your chances of injury. The type of posture you have will determine which muscles are weak and which are tight. Optimal postural alignment helps provide good shock absorption and assists in energy transfer during movement. The foundation of any defensive movement is the athletic or position specific stance. If this stance is poorly constructed any subsequent movement will be slower. Any sport that requires a defensive stance must allow for the best possible movement speed out of the stance in any direction. If this stance is faulty it will cause you to lose lateral quickness because you cannot engage your hip muscles effectively. This puts more strain on the knees. The spine should be straight and the hips bent in a "hip-hinged" position. One method to assess if you have proper defensive position is to take a stick (hockey stick, golf club, dowel, etc) and place it on the players back. Position it so that it touches the buttocks and the back of the head. As the player assumes the defensive position and hinges at the hips, the stick should stay on the player's back. If the athlete bends at the waist, the stick will move off of the lower back. This indicates poor posture when assuming the defensive position. To assess the correct position of the knees you need to observe the athlete from the front as he squats. The knees should remain centered over the second toes. If the knees drift inward, the likely cause is unawareness of correct technique or weakness in the hips. This faulty movement can cause poor tracking of the knee caps resulting in reduced jumping power and patellofemoral injuries. If the hips are not in the ideal position, the muscles are not at their ideal length to contract and therefore functionally weaker, putting more stress on the knees. As an athlete you must always be aware of your posture. This knowledge, combined with knowing how to achieve a good defensive position will instantaneously make you move better. Review the above exercises for posture. The feet must be slightly wider than shoulder width. This is due to the angle of force application. If the feet are too narrow the infielder will not have as powerful of a lateral push due to the initiating angle. The glove hand will be down preparing for a grounder. The player can make a good play on a hard hit ball, but this posture will also preload the hamstrings and glutes to accelerate forward as quickly as possible. This forward positioning also keeps the infielders weight on the balls of the feet and not sitting back on the heels. If the player is sitting high with the shoulder back the weight gets shifted to the heels and it is therefore difficult to accelerate quickly. Breathing becomes easier for children after they've undergone a program of exercising on the exercise ball. there was found to be a significant reduction in activity of the accessory muscles of respiration. This indicates less effort in breathing and better performance of the diaphragm with an improvement in posture. 1. CorrÃªa EC, BÃ©rzin F. Mouth Breathing Syndrome: cervical muscles recruitment during nasal inspiration before and after respiratory and postural exercises on Swiss Ball.Int J Pediatr Otorhinolaryngol. 2008 Sep;72(9):1335-43. Epub 2008 Jul 7.